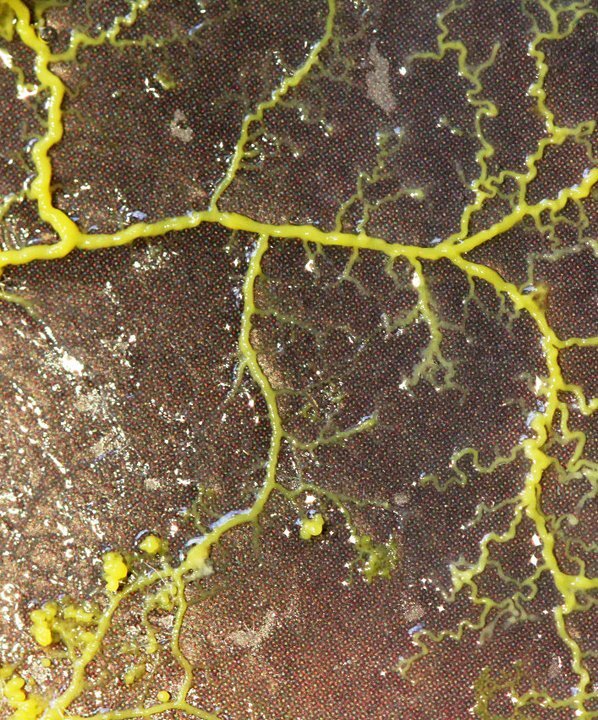 Now all in one place, a collection of the various books that I have fed to the slime mould Physarum polycephalum over the years. 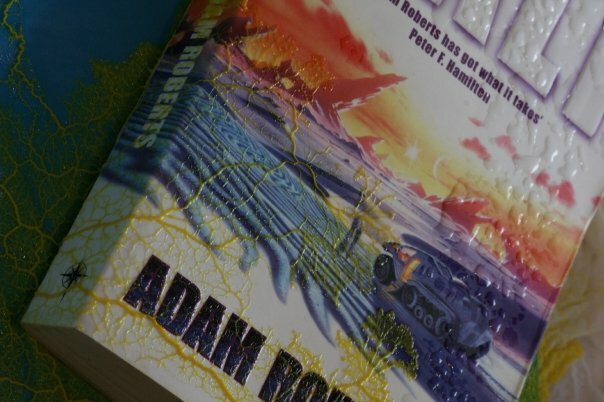 There are books here by Adam Roberts, Neal Stephenson and Phil Smith. 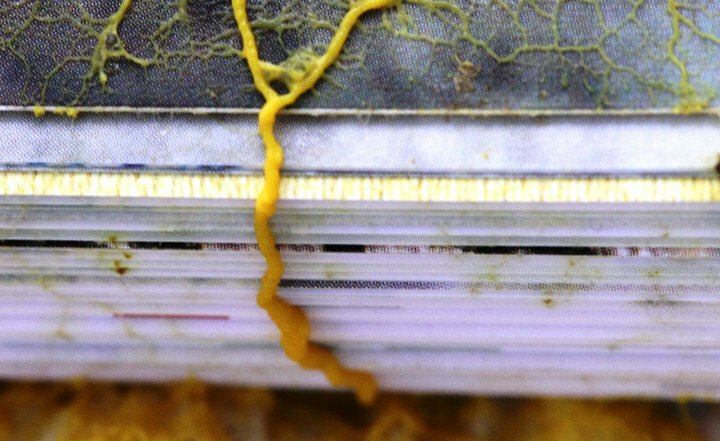 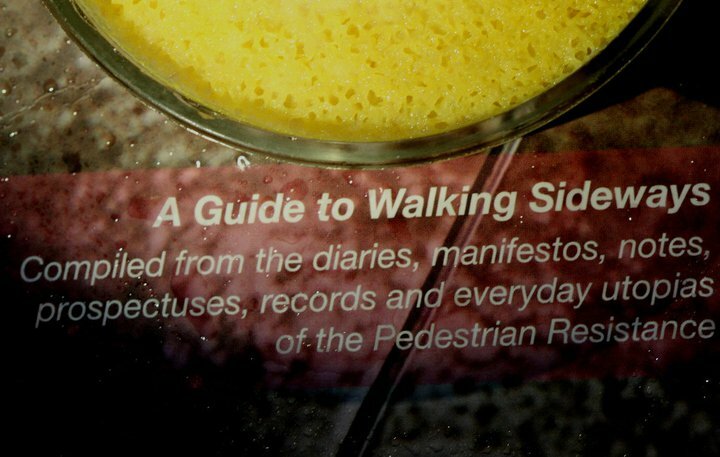 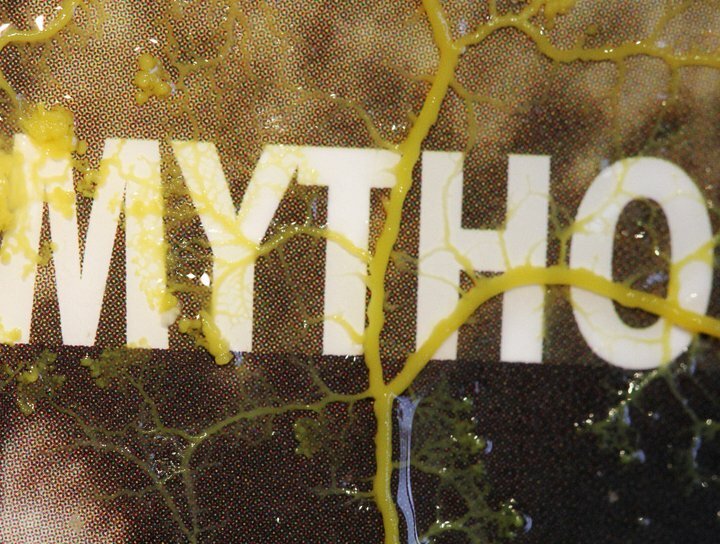 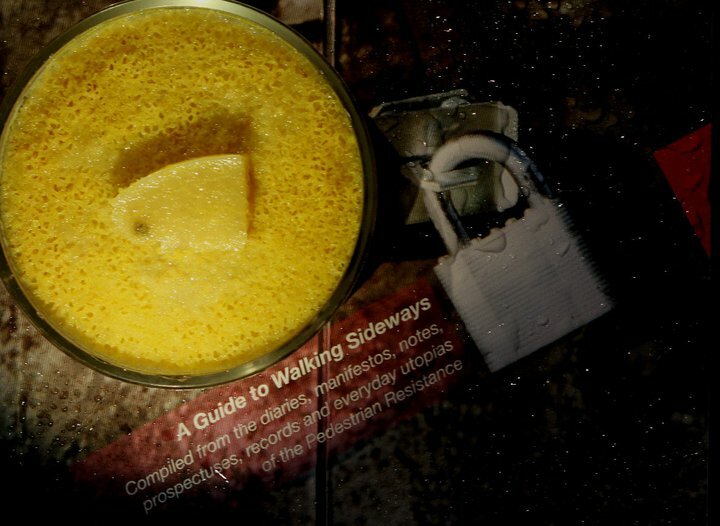 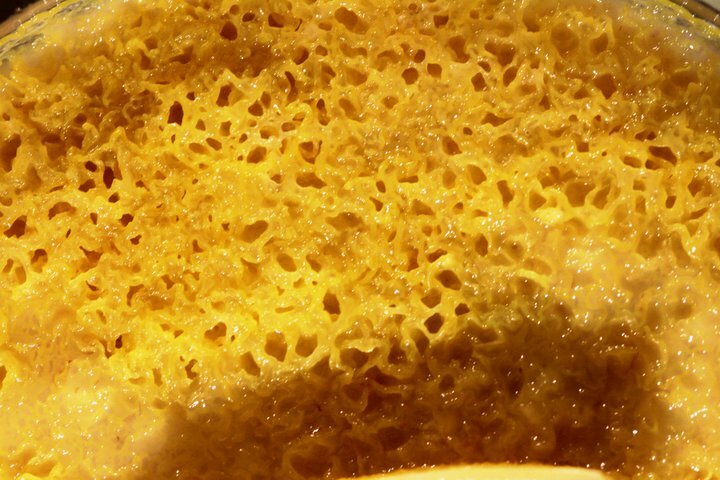 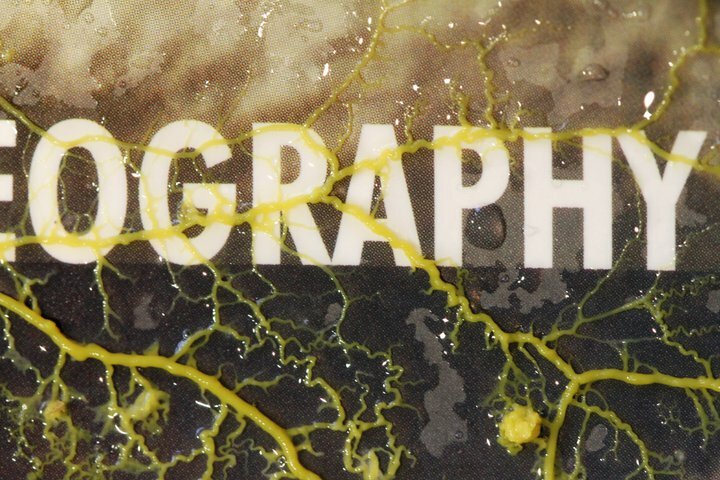 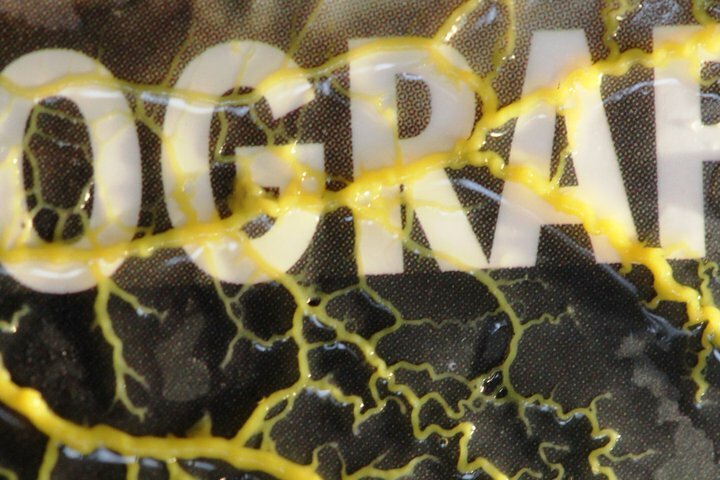 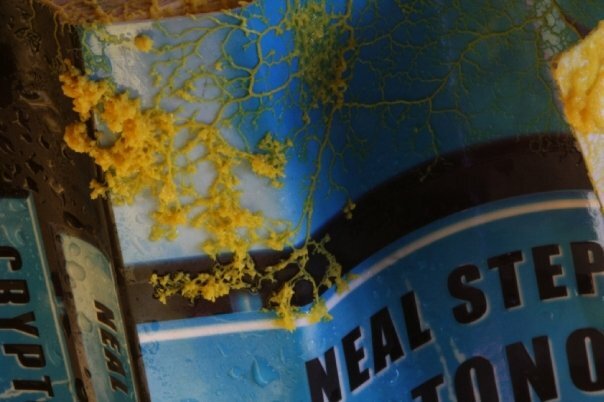 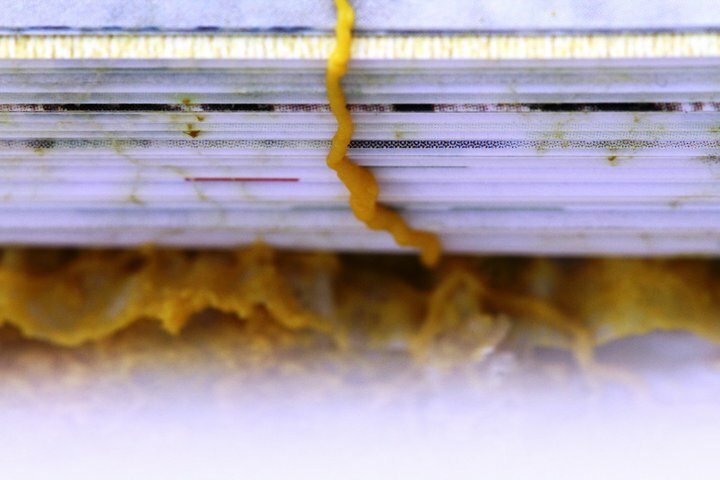 The slime mould possesses a primitive intelligence, and I wonder whether it detects changes in the nature of the pages beneath it, in terms of the plain paper, the inked text and its words, and if so what it makes of this. 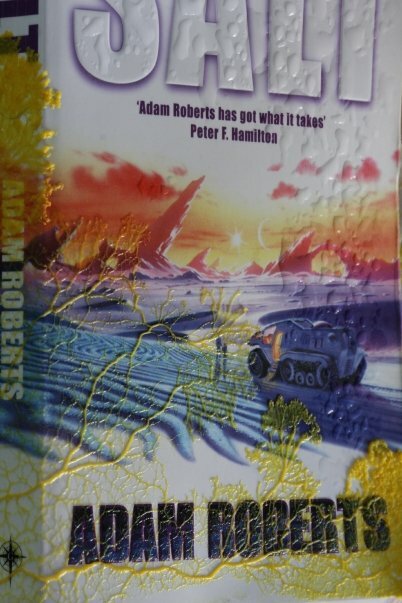 The book was Splinter by Adam Roberts. 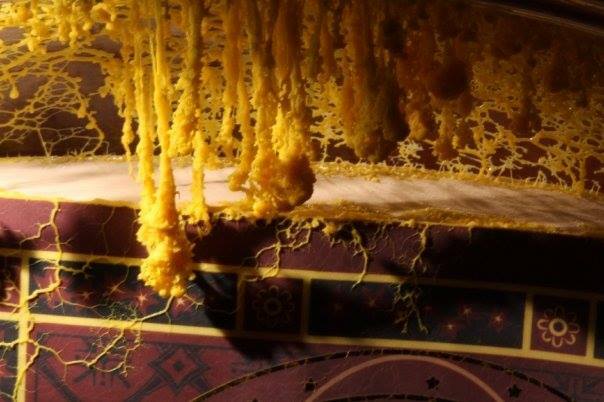 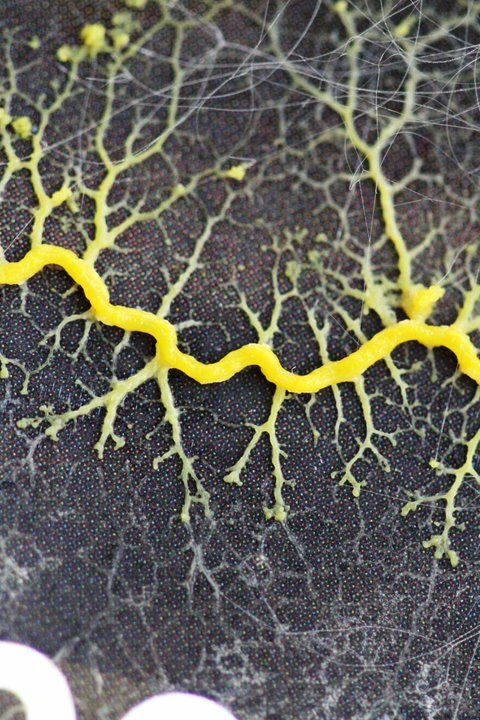 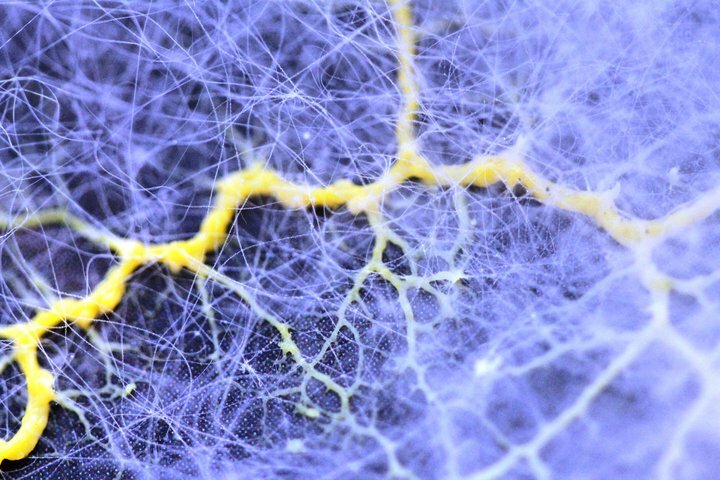 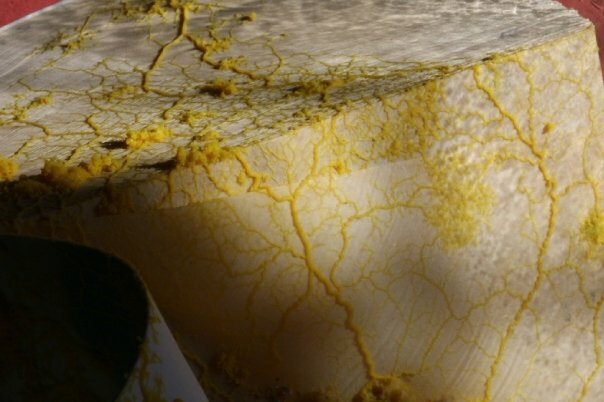 As I’m apt to do, I fed it to the slime mould Physarum polycephalum, which crawled above it, and then like a microbial Rapunzel, let down these wonderful yellow tendrils.